2016-2017 produced many historical milestones for the Clipper Men’s Basketball program. The team set a program record of 18 consecutive wins, not losing between Dec. 16, 2016, and March 1, 2017. 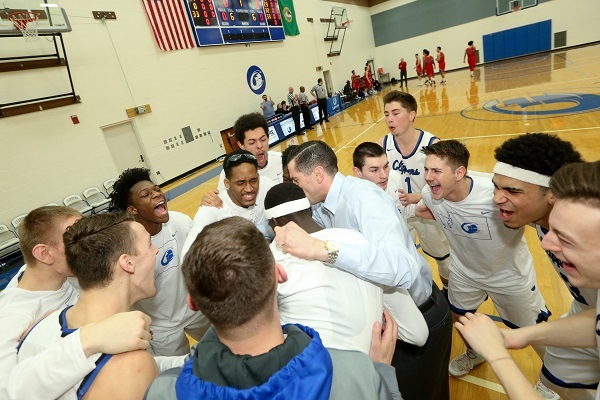 Amidst the winning streak, the Clippers clinched their first NWAC West Regional Championship with a 98-60 victory over Grays Harbor College. The win also clinched a spot for the Clippers in the NWAC Championship Tournament in back-to-back years, the second time in program history (2002 and 2003). The team’s victory over Big Bend in the Sweet 16 gave the Clippers their 23rd season win and a new program single-season wins record. Sophomore Buay Kuajian (All-Region Second Team & Regional All-Defensive Team). Head Coach Aaron Landon is looking forward to next season, stating that, “We will return some very good freshmen from this year’s team. Their experience winning the West Region and contributing in big moments will help them step into leadership roles.” The team spent the final month of the regular season ranked number two overall in the NWAC Coaches Poll and, during their non-conference schedule, beat out quality opponents in Washington, Oregon, and California. The Clippers also swept the Edmonds Crossover in December by going 3-0 against Columbia Basin, Lane Community, and Edmonds Community Colleges. The Clippers finished the season 23-6 (13-1 in the NWAC West regular season). This year’s sophomore class is also responsible for 45 career wins, a program record, which is tied for second overall in the NWAC for the 2016-2017 seasons.